Durango... Always a Railroad Town... Or so reads the title of a book by old friend Richard Dorman... And for good reason: Both the D&RGW and the R.G.S. 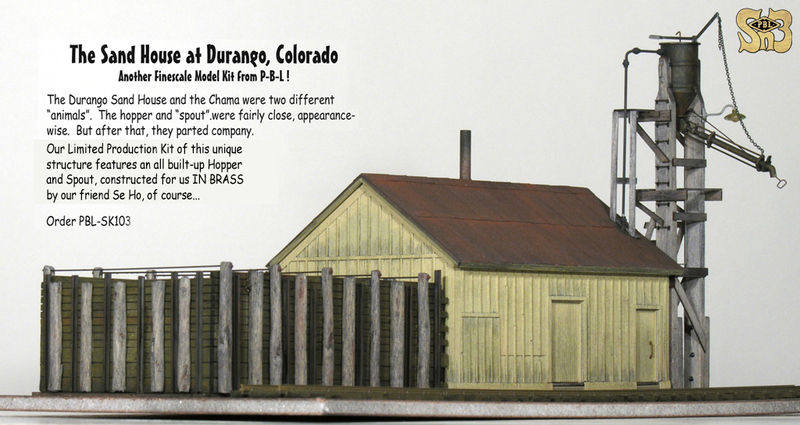 worked out of Durango back in the day... And the old Durango & Silverton of today still use the old D&RGW facilities, many of which appear unchanged... Herewith we present our FineScale Model of the Sand Facility at Durango, Colorado for your perusal... Click this link and be prepared to be impressed! We're P-B-L ! This is kind of stuff we're known for doing! Call 707-462-7680 to talk to a REAL PERSON ! Really !